I met Sophie during R+D sessions for The Iron Man. 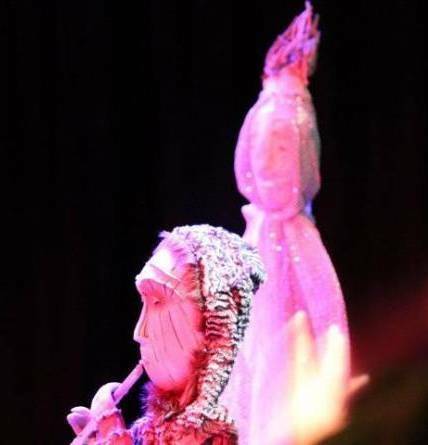 Mutually excited about the transformation of her carrier and own physicality she then asked me to design and make puppets for her one lady show. The great challenge was to grow Sophie’s presence into a rich and empowered world in which she could tell her tale boldly. 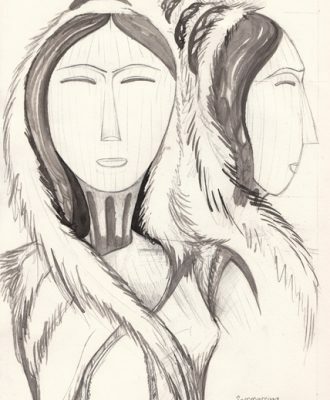 The central character was Semmersuaq a 7ft Chief’s daughter in a tribe living in a world of snow. 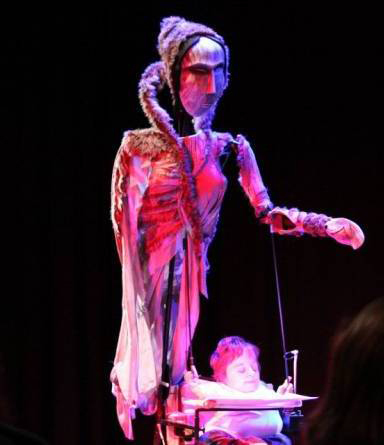 The puppet was mounted on the side of Sophie’s carrier on a pivot which allowed it to lean up and down in correspondence with the chair’s movement. A control rod turned and raised the head whilst another animated a counterweighted arm that required little effort or leverage to gesture with. 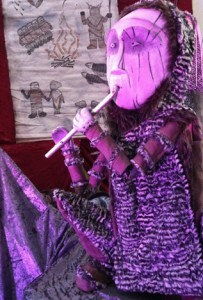 The other puppet was Karlmaour a smaller figure. He was mounted on a base and pulley operated so that Sophie could make him play a Pipe and move remotely. 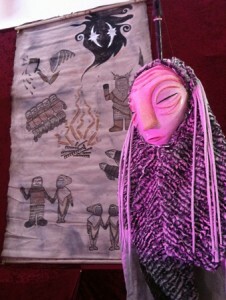 Further elements were a painted backdrop of the Tribe scenes illuminated by a hand torch and a shadow puppet rig on the front of the carrier. There are hopes to develop this show further and bring more characters to life.